How do I Cash Out winnings? I received a bonus on my deposit but I didn`t ask for it, why did you add it? How do I submit documentation? Where can I find Slotjerry’s bonus policy? How does SlotJerry protect my Privacy? Who is the governing body of SlotJerry? Why do I have to send my documents? How do I know if SlotJerry is playing fair? How can I get my 100% match up bonus? Why did I not receive my bonus? I deposited but did not receive the bonus you promised me by e-mail. Did I wager my bonus enough? How much in bonus have I received until now? Why do I not receive a bonus with every deposit I make? Do I get a choice of how much bonus money I can get? How can I Stop receiving bonuses in my account? Can I see all the Deposits I have made? Why I cannot deposit with my Visa/MasterCard? I have deposited via wire transfer: why it is not appearing in my account? Yet money has been taken from my bank account. Why does the deposit still show as 'pending' and money been taken from my bank account? Where can I find SlotJerry’s cash out policy? Can I cancel my Cash out request? Every time I want to Cash out do I have to send documents? If requested, how do I send documents? What types of files are accepted? Where can I find complete detailed help on all the games? What do I do if I have forgotten my Username and Password? What should I do if I feel there is a discrepancy between game result and winning? How do I send a screen shot of the card I played? How do players register for Reward Points? How do players earn Reward Points? How do players redeem Reward Points? What are Total Reward Points? Is there a validity period? What happens to the Reward Level and Reward Points in the event of account closure? Where can I find SlotJerry’s terms and conditions? Why Can’t I play in Practice mode anymore? Why is it that I am not allowed to open up a Real Money account because of the country that I reside in? How can I close my player's account? What currencies am I able to play within the site? Requiring Documentation for a withdrawal request is an industry standard and a onetime inconvenience. Documentation is requested to validate that funds are being sent to the correct person. Identification is also requested for age verification purposes. On occasion, certain credit cards may requested due to the credit card company’s regulations, and in order to protect your account security. Your documents are received and secured in access-restricted manner in accordance with the Data Protection act. Once documentation has been received in your account, future cash out requests should be approved with no unexpected delays. The 100% matchup bonus is something that SlotJerry offers to all its new players. 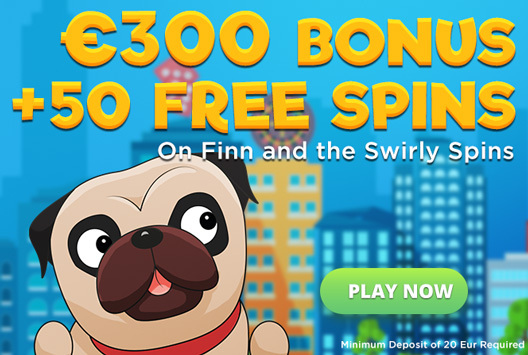 To claim this bonus all you need to do is make your first deposit of a minimum of €20. SlotJerry’s bonus policy can be found here. As all our promotions run to GMT time it may be possible that the time in your location is not the same and therefore the promotion has ended. Feel free to contact our friendly support team to find out about any other current promotions or offers. As per our terms and conditions, we would like to remind that any accounts that have pending cash out requests remaining will not receive any promotional bonuses. Players have the ability to request bonuses to be disallowed and should this have been done in the past no bonuses will be added to this account. To check or change this, please contact our friendly customer support. You need to ensure that the terms and conditions of the bonus offer such as the minimum deposit amount and the period during which the deposit needed to be made in order to qualify for the bonus have been met. On some occasions, bonuses are required to be wagered on a particular game. Furthermore some bonuses will only be added after the promotional period is over. Please read the terms and conditions of the promotional e mail carefully and if you require an additional explanation as to why your bonus was not added, contact us through live chat or by e mail at We kindly remind you that some bonuses do not qualify to be received while you have a Cashout request Pending in your account. Any bonuses added to your account are usually added automatically if a promotion is running during that period. It may also have been credited to your account by your Personal Account Manager either following a personal bonus offer or as a thank you gesture for your continued loyalty to us here at SlotJerry. If you do not wish to take advantage of the bonus offer please do not play with the deposit and bonus funds at all and contact us straight away. To check your bonus wagering status, simply access My Account, and view “remaining wagering requirements”. Log on to your Real Money Play account. Click on the "Menu" tab which can be found at the bottom bar of the lobby, then click on "My history" and choose "Cashier History". You will then be able to filter your search by month and view all bonuses and deposits made for that month. We do have on-going promotions which are sent out regularly to the email address which you registered with us, however should you wish to make a deposit and have not received a promotional e mail for that day, please contact our support team and we will let you know if you do qualify to receive a bonus on your deposit. The activity on your account is regularly monitored by your account manager and this determines if you qualify for a bonus at that point. Please contact our support team by live chat before making a deposit if you wish to check whether you can receive a match up bonus on your deposit. In order to deposit your first step is to have a real money account. Once logged into your Money account - click on the "cashier" button and select "deposit"
Follow the simple and easy steps of the method you choose deposit with. Click on "My Account" in the lobby and go to "Transaction History" tab. Select "My Deposits" from the drop down list and then select the period that you wish to view. Then press on 'Show History' and the information that you require will appear. If it is your first time depositing with the card your bank may be applying restrictions to it or the details may have been entered incorrectly. Please contact our support team through live chat so that one of our agents can assist you with the deposit. We also offer alternative safe deposit methods. All deposit methods can be viewed by clicking on the "Cashier" tab in the lobby. It may take up to 5 days for our processor to receive the funds. Immediately upon confirmation from our processor, we will update your account balance and we will notify you by e mail that your playing balance has been updated with the deposited funds. If after 10 business days from making the wire transfer, you still have not received the funds in your SlotJerry account, please contact our customer support team for further assistance. Kindly make sure you prepare all relevant details of the deposit made (Date of transaction, amount, currency, transaction reference number from bank). Extra security checks and communication between banks can sometimes mean that the deposit is not reflected into your playing balance immediately. If the funds have already been taken from your bank account, the deposit should be credited to your balance with us shortly. If our bank does not receive confirmation within 7 working days, the deposit will be declined and the payment will be returned to your bank account. Click on 'Cashier' in the lobby. Choose your preferred Cashout method – and fill out the short form. Click on 'Cashout' and your request will be sent to be processed. You will then be refunded in accordance with your selected Cashout method. Multiple Cashout requests made within a 24hr period, and using the same payment method may be combined into one payment. You can track your Cashout request visiting the 'My Account' section within the lobby. Please note that Cashout time differs between payment methods. Your personal details should be correctly given in order to receive your money within the above allocated times. Why not check out our Cashout processing times before selecting your payment method. SlotJerry’s cash out can be found here. Within the Cashier, click on the "Pending Cash out" button on your left. Select the transaction you wish to cancel and click on the "Transfer Money Back to Your Account" button located at the bottom. The funds will now be transferred back into your SlotJerry account. After 48 hours from the date of request, the status of your Cash out request will change to 'Processing' and you will no longer be able to cancel it. You will be notified by email when your Cash out request is delivered and the money is sent to you according to the method you chose. Every time I want to Cash out I have to send documents? In short NO – We will only request that you send your documentation once. It will then be saved to your account and future Cash out requests will not incur any delays provided the same payment method is used. However, additional documentation may be requested in cases where a different payment has been used. How can I send documents? EMAIL - You may scan and email the copy of the documents to us. You can also take a photo of the documentation using a digital camera. We would advise saving the image as a .jpeg format. Furthermore, once we have this information saved in your file, any future cash out request should be processed and approved with no delay. 1. Login to your SlotJerry Account and click on “My Account”. Select “Documents Upload“. 2. Upload up to 6 files in a single submission and up to 10 files in a single web session. Accepted file types are: JPEG, PNG & TIFF. Maximum upload size is 6MB per file. 3. Once a file is successfully submitted, it cannot be deleted via the website. If you need assistance, you can contact the support center. 4. The Documents Upload tool is supported on IE10, IE11, Firefox, Chrome, and Safari browsers. Mobile devices running iOS 7 and up and Android 4.3 and up also support the tool. The Document Uploads tool only accepts JPG, PNG & TIFF files. Only the first page of TIFF files will be saved. Your username or reset password link will then be sent to your e-mail address. (This information is private and secure, please ensure that you are the only person who has access to these details). Log into the site with your existing Username and Password. Click on the 'Menu' and then on the 'My Account'. Once you are in the ‘My Account' page click on the 'Change Password' link and fill in the relevant fields and press 'Change'. The best way to check the card you just played is by reviewing the card "games history". This is located in the History section in your account. If you still feel there is a discrepancy after reviewing your history, please send a Screen shot of the card you played or the card game number to Contact us Including a short description of the issue you believe you experienced and the time and date which you played the card will assist us in resolving the issue. And an account manager will contact you with a resolution or explanation of what has happened. Make sure the screen you need to copy is the open window. Press the "PrtScn" key located on the top right corner of your keyboard. Compose a new email message from your email provider (in hotmail or yahoo for example). In order to paste the screen shot onto the new email: press Ctrl+V. Cookies are pieces of information that websites store on your computer. Cookies allow websites to recognize your computer the next time you visit, and to remember your preferences. Some websites may not function correctly if you disable cookies. Reward Points are another way for SlotJerry to reward our loyal players. Registered SlotJerry Real Money players earn Reward Points as they play. All Real Money players are automatically registered to earn Reward Points upon making their first deposit into their Real Money account. Earning Reward Points does not cost players any extra money. Earning Reward Points is mandatory, but redemption is optional. Reward Points are awarded automatically, based on Real Money wagers and recent player activity. Standard Earning Rate is 1 Reward Point for every €40 wagered. The number of Reward Points awarded per bet will depend on the game and/or type of bet placed by the player. Reward Points may be awarded for special promotions or as gifts from SlotJerry. Reward Points cannot be earned through practice mode play. Once players have accumulated the minimum number of Points, they can redeem these for Bonus Money. Bonus Money redemption is done from the cashier section of the SlotJerry site. The Bonus Money amount must be more than or equal to the minimum number allowed for players’ current Reward Level and equal to or less than the maximum number allowed for the players’ current Reward Level. Redeemed Bonus Money will be added to players’ game account. Redeemed Reward Points will be deducted from players’ Reward Points balance, but not from the Total Reward Points. Promotional Points awarded as prizes cannot be exchanged for an alternative cash value. Redeemed Reward Points can then be cashed out, providing standard cashout criteria are met. Redeemed Points will be subject to standard bonus wagering requirements. See Bonus Policy for more details. Once players reach a certain number of Total Reward Points, their accounts will be automatically upgraded to the next Reward Level. Each new Reward Level will provide enhanced redemption rates for Reward Points. Total Reward Points are awarded at the same time and rate as Reward Points. Total Reward Points are calculated on players’ lifetime activity. Total Reward Points cannot be redeemed for cash. VIP Level is by invitation only. Total Reward Points are based on lifetime activity and do not expire. Any Reward Points that were not redeemed within a 3 month period will expire from your Points Balance. If a player chooses to close their SlotJerry account, they will forfeit their Reward Level and lose all Reward Points associated with that account. Reward Points and Reward Levels cannot be transferred to another account. In the event of account closure by SlotJerry for any reason, Reward Levels and Reward Points will be forfeited. It is possible to earn Reward Points on the Mobile platform as well as through web games on SlotJerry. SlotJerry Mobile Players earn points in exactly the same way. SlotJerry’s terms and conditions can be found here. All Practice accounts have a limit of 250 games to play with. Should you chose to open up a Real Money account, your first deposit of a minimum of €20, and each deposit thereafter will add another 250 games to your practice account. You may switch back to Practice Mode at any time and play any remaining games you have available. Regulatory requirements in some countries do not permit the citizens of these countries to play with real money. We are able to offer those of you who cannot join us with a Real money account a Practice account to enjoy our site with. Legislation may change periodically in relation to your country of residence. Should you wish to close your account with us, We would be sorry to see you leave our site, and urge you to allow us to assist you in resolving any issue you may have. Please contact our Support centre for a fast resolution. However, if you feel that you need to close your account, you are kindly requested to contact us. We would appreciate your feedback regarding the reason you wish to close your account, and what you feel we can improve on our site. In order to avoid the cost of Exchange rate fees, it is recommended that you choose the currency matching your country / deposit method account currency. Did we answer your question? If not, feel free to contact one of our support agents who will be more than happy to assist you with your tournament query.